4‑H science programs provide 4‑H youth the opportunity to learn about Science, Technology, Engineering and Math (STEM) through fun, hands-on activities and projects. 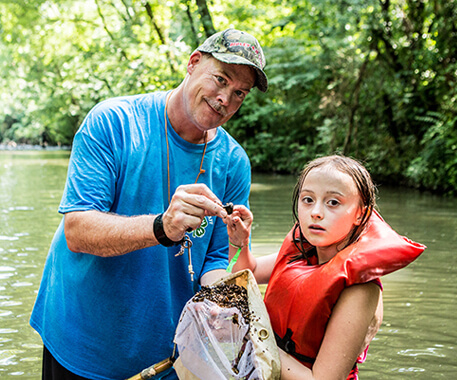 4‑H science programs are available through local clubs, schools and grant-funded programs. Focus areas for 4‑H science programs include robotics, rocketry, environmental science, agri-science, biotechnology and veterinary science. 4‑H’s programs provide young people first-hand experience in utilizing alternative energy, conserving energy and learning how to limit humanity’s impact on our environment. 4‑H programs use hands-on activities in robotics, rocketry, computer science and electrical engineering to teach problem solving, creative and critical thinking, and build excitement for engineering and technology. 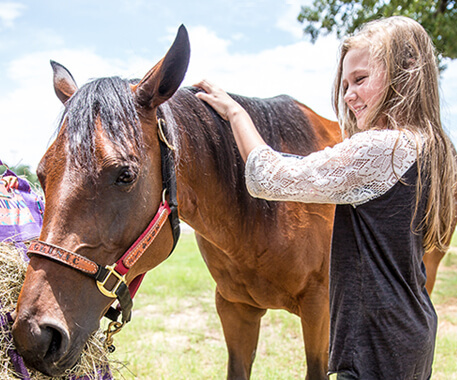 4‑H programs engage and excite young people in agricultural science topics such as veterinary science, biotechnology, raising and training animals and forestry. Looking for easy ways to get your kids interested in science? STEM Lab provides fun, hands-on science, technology, engineering and math (STEM) activities for kids of all ages to do anywhere! These hands-on activities are designed to instill curiosity, and critical thinking, helping kids develop the skills needed to be successful in life. Visit STEM Lab today to get started. 4-H Tech Wizards is an after school, youth mentoring program for under-served youth grades 4-12, that sparks youth interest in STEM fields (Science, Technology, Engineering, and Math). Juntos 4‑H supports Latino students and their families bridge the gap between high school and higher education and teach financial literacy skills. Juntos 4‑H provides knowledge, skills and resources to prevent youth from dropping out and to encourage families to work together to gain access to college. The 4-H robotics program inspires young people and develops an early interest in robotics engineering and technology. National Youth Science Day is 4-H’s annual initiative to inspire kids everywhere to take an interest in STEM topics (science, technology engineering and math) through hands-on learning. 4-H and Google have teamed up to help kids learn computer science through hands-on doing with the Code Your World challenge. 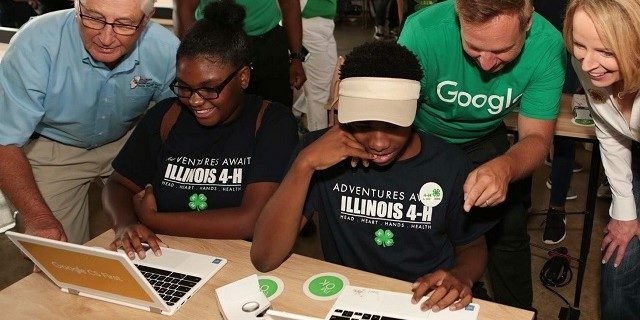 National 4-H Council and Google.org are working together to bring skills students will need for the future, like computer science, computational thinking, communication and collaboration to kids across the country. Google.org funding will lay the foundation to launch the 4-H Computer Science Career Pathway that will empower more than 100,000 kids in its first year. Raise your hand today to support kids in your community! Vote now and your state’s 4‑H program could win $5K, $10K or $20K to help more young people do, learn and grow. Enter to become a Farmfluencer today! Submit a video explaining what farming means to you for a chance to win up to $5,000 and star in your very own documentary. 4‑H Science, Technology, Engineering and Math (STEM) programs are proven to engage youth in fun, hands-on activities and get them excited about careers in science. Download 4‑H STEM infographics, studies, and reports. Get the 4‑H Inspire Kids to Do Activity Guide with 60 inspirational activities to help your kids grow into True Leaders. Download now and you’ll also receive our Inspire to Do list with 30 more activities for your kid!